As I mentioned in my previous post that I was reading a couple of Filipino food blogs and could not but to notice that everyone of them rave about their yummy national dish -- Chicken Adobo. I made a mental note that I definitely have to try making it once. And how glad am I that I did! This dish is super yummy and I had to drag N and baby A out for a 3 miles walk to burn off the extra rice I had for dinner! 1. Clean the chicken pieces, smashed a few garlic cloves, add bay leaves and light soy sauce, marinate the chicken for at least an hour. 2. Add a tbps of oil, and cook the chicken pieces on stove until changes color, add all other ingredients and water, bring to boil, and turn the heat down to medium low, continue cooking until chicken tender. Increase the heat to thicken the gravy if you needed to. This dish must, I mean, MUST serve only with white steamed rice, preferably Jasmine rice. the first time I bought a bottle of apple cider vinegar was to make this Filipino dish, you just remind me I have too long did not encore this dish. Yours sound absolutely delicious too! 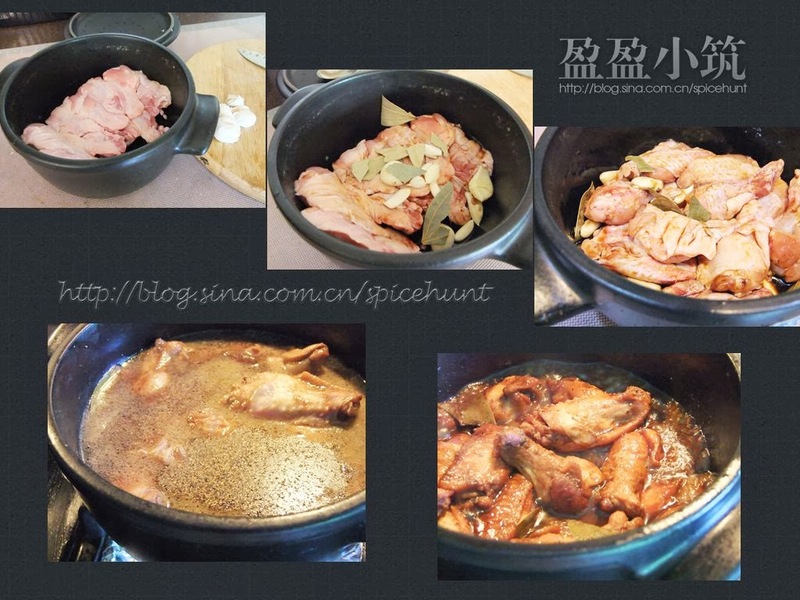 Hi Sonia!Welcome!This recipe cast a balance result and we truly enjoyed the meal, it was one of the best chicken dishes that I have tried... it is so delicious! Meanwhile.. I am also craving badly on Nasi Lemak! I love Adobo - I am going to try out your recipe soon! Welcome to my blog Cookie! Oh yes, do try this one out! It is so delicious! adobo is such a national dish for philippines and it's not difficult to make!